As someone who used to make .wad maps of Duke Nukem 3D back in the day, I'm extremely thankful for mods. One of the most insane revolutions that I witnessed as an '80s kid was watching entire online communities disappear as publishers refused to implement mod support and dedicated servers -- a rare event now that used to be an expected feature. But the landscape has changed. Now developers have the technology to fully realize some of the open world dreams that they had in the early periods of game development, and I've slowly become more and more at ease with the lack of mods in certain games. Take Bethesda for instance. 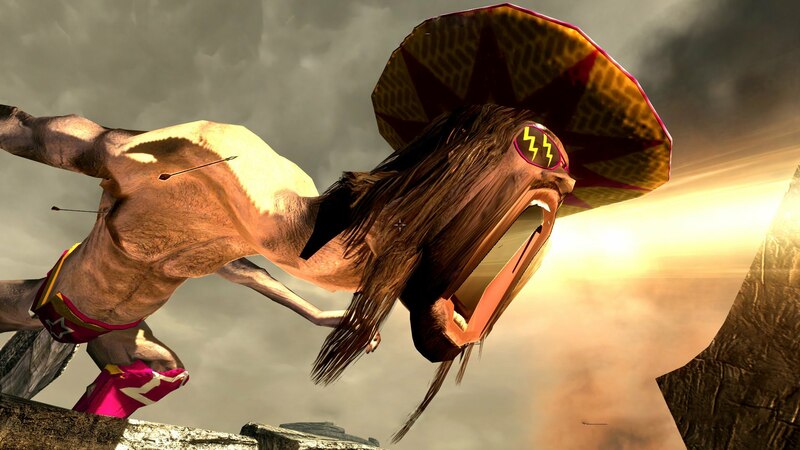 Fallout: New Vegas is a complete experience. Obsidian did an incredible job with the script, there's lots of great out-of-nowhere emergent moments, and the survival system is a nice change of pace from the open world slog. I don't need mods to enjoy the game, but they damn well help make it even better, especially after the fifth playthrough or so. Like most things I'm pretty even-keeled on the subject of mods. I won't wince in disgust if a great game doesn't have mod support, but hey, if it's there, that's awesome. But given the hot topic of the lack of mods for the Switch version of Skyrim (a situation that doesn't seem to have a resolution anytime soon), I wanted to get everyone else's take. Do you need to play a version of a game with mod support if it has the ability to support it?